May I interest you in a California Cookie? "What exactly is a California Cookie?" you may be asking. "I've never heard of it." Well, of course you haven't, because Trevor recently made it up. But before I tell you the story of how Trevor invented the California Cookie, let me back up. When I plan a trip for our family, it is just as important to me to research what we're going to eat as it is to research what we're going to do. Just as I don't want to miss any amazing museums, historical sites, natural wonders, or other unique must-sees, I am not going to travel across the country and miss the chance to try the official state dessert of Maryland, for example. I want to taste every regional specialty whenever possible, whether that is unique and beloved fast food in Nebraska or Kentucky's best burgoo. When we visited New Mexico in November 2016, Trevor and I fell in love with biscochitos, the official state cookie. I decided that our family would try every state's official state cookie. One problem... 48 states don't have an official state cookie. Besides New Mexico's biscochito, Massachusetts lays claim to the chocolate chip cookie, which is not exactly something we need to go out of our way to try. And that's it. No other official state cookies. I did some googling. I found proposals for state cookies in Pennsylvania, an interesting collection of the (allegedly) most popular cookie in each state, and a kindred spirit from my home state of California. 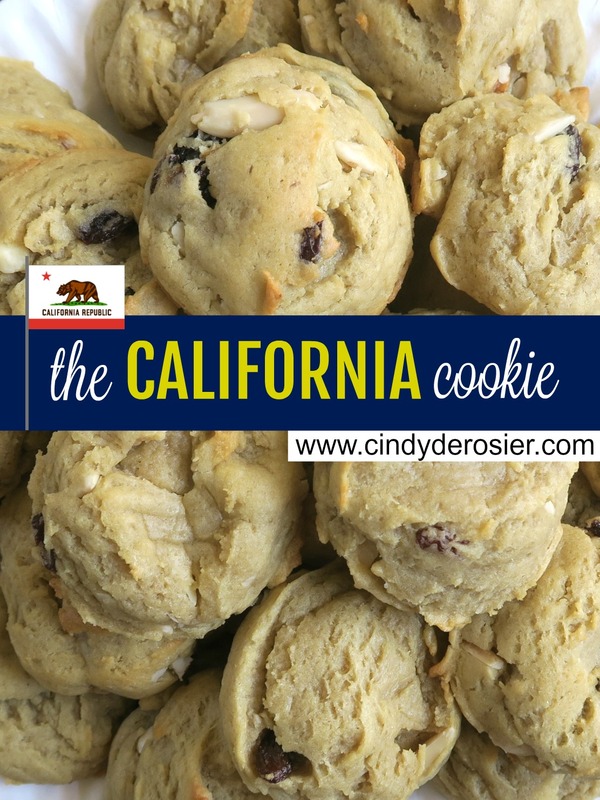 I became determined to create a state cookie for California. 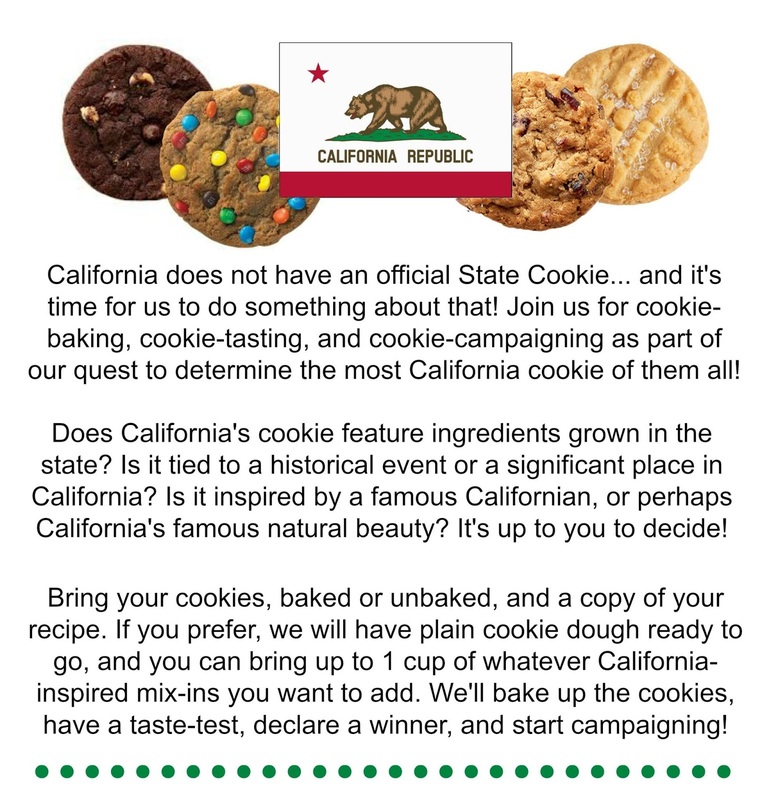 What would California's cookie have? There are so many possibilities. California produces almost all of the country's almonds, apricots, dates, figs, kiwi fruit, nectarines, olives, pistachios, prunes, and walnuts. It leads in the production of avocados, grapes, lemons, melons, peaches, plums, and strawberries. I started dreaming up yummy combinations. Trevor and I were so excited. On the day before the party / competition, we each mixed up our own entry. Can you guess why Trevor's cookie dough has a lovely green tint? We refrigerated our cookie doughs overnight, along with the plain cookie dough we'd prepared for friends to use. 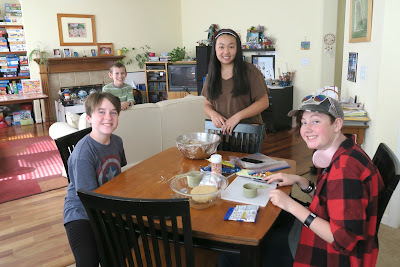 On the morning of the party, we baked up our cookies while we waited for our guests. One friend brought baked cookies, another brought raw cookie dough and baked at our house, while a third brought mix-ins and used our plain dough. 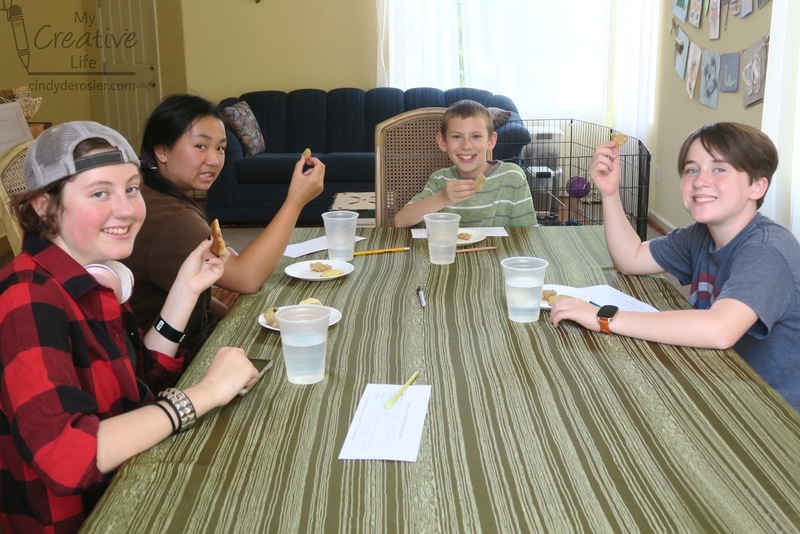 It took quite a while to bake all of the cookies, but at last we were ready for judging. One by one, the four kids and I each introduced our cookies and explained our inspiration. 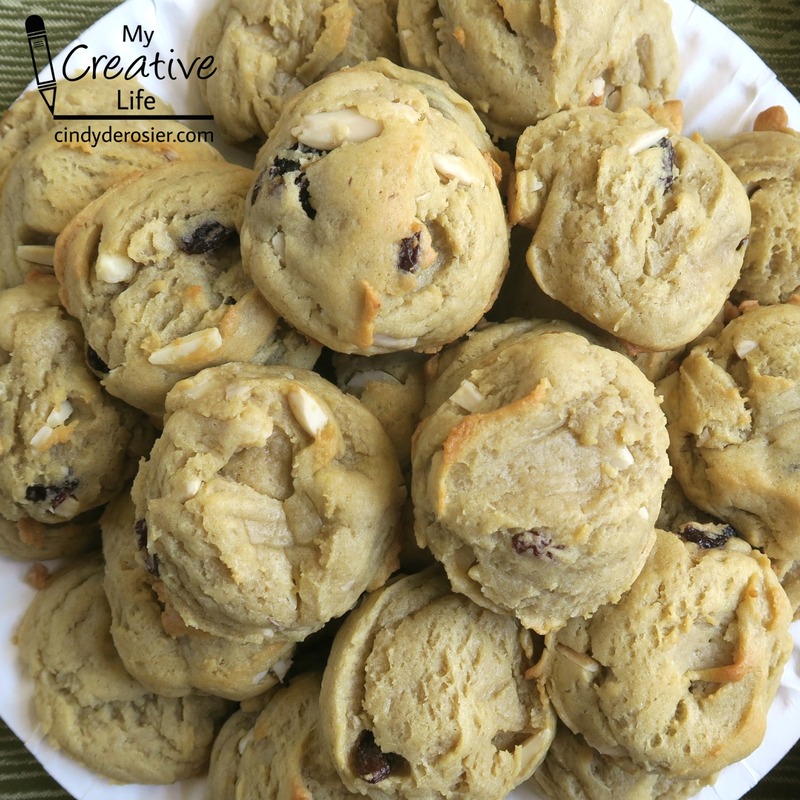 M's California Cookie has an oatmeal base with slivered almonds, apricot chunks, and golden raisins. California is the #1 producer of almonds, apricots, and raisins, and the selection of golden raisins represents the Golden State. S's California Cookie is a lemon poppy seed cookie. California leads the nation in lemon production and the poppy seeds are a nod to California's state flower, the California Poppy. The lemony color represents California's sunshine. My California Cookie features sliced almonds, dried apricots, and toffee bits. The almonds and apricots are top products in California. The toffee bits, which are golden in color, are meant to represent the California Gold Rush. 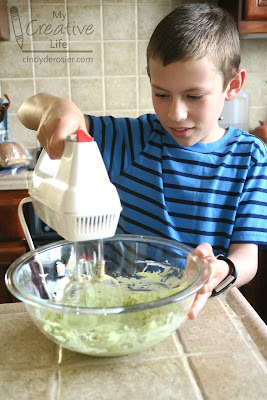 Trevor's California Cookie began with mashed avocado taking the place of butter in the cookie base. Not only is California the #1 producer of avocados in the US, but they replace the saturated fat of butter and make the cookies healthier. He added raisins and almonds, both very important in California agriculture. L's California Cookie features almonds and Jelly Belly candies. The Jelly Belly factory is just down the road from us, so they're definitely Californian! None of us had talked about our planned cookies ahead of time, so it is fascinating that 4 out of 5 chose almonds. Raisins appear in 2 and apricots in 2. 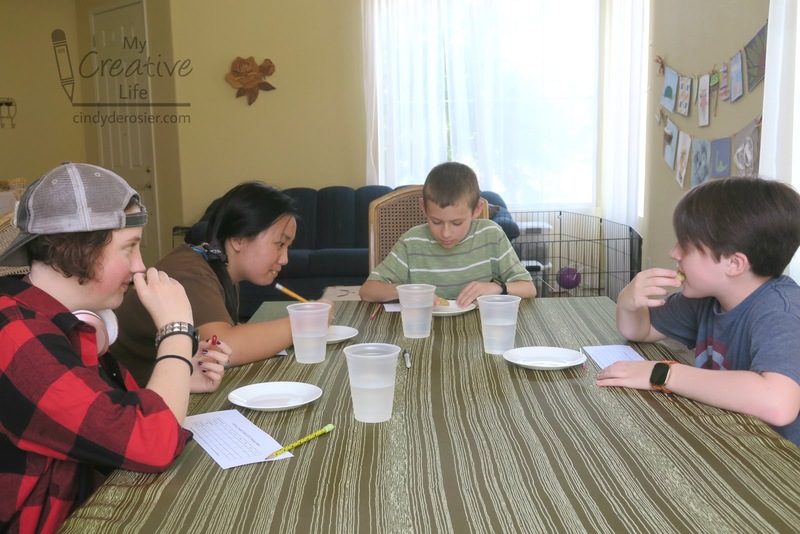 Trevor had made up scorecards for us, so we carefully tasted and rated each cookie. All five of the cookies were delicious. 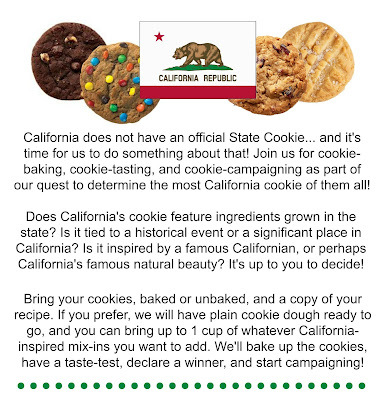 And all five contestants had made a good case for why their cookie represents California. We completed our secret ballets and the kids ran off to play. I totaled the scores and there was a clear winner... congratulations to Trevor for inventing the California Cookie! I've included the recipe below so you can bake the cookies and see for yourself if they deserve the title of the official state cookie of California. I think they do. Let's join New Mexico and Massachusetts to become the 3rd state in the nation to adopt an official state cookie! Use a mixer to cream the butter and avocado until they are smooth and uniform in color. Add the sugars and beat for 3 minutes until fluffy. Add egg and vanilla, beating for another minute or until fully incorporated. In a separate bowl, combine flour, baking soda, cornstarch, and salt. Stir the dry ingredients into the egg mixture until the dough comes together. Fold in the almonds and raisins. 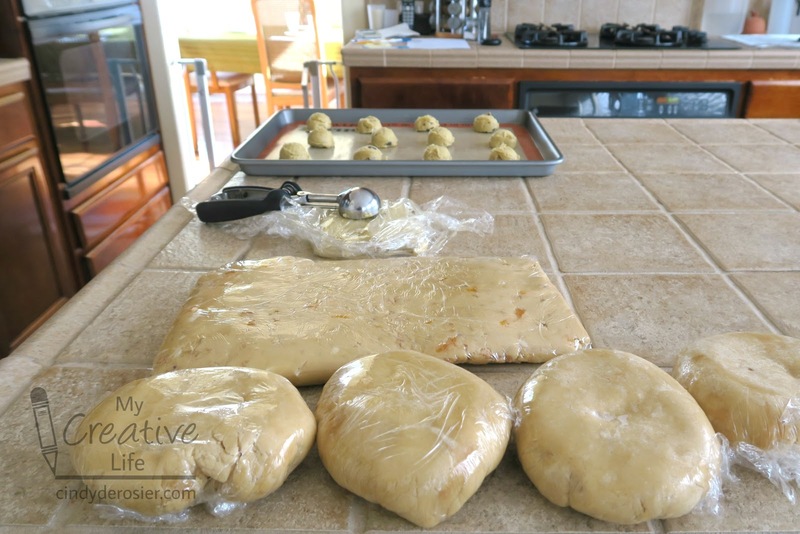 Use a cookie scoop to drop dough onto a Silpat-lined baking sheet. Bake the cookies at 350°F for 9-10 minutes or until barely golden. 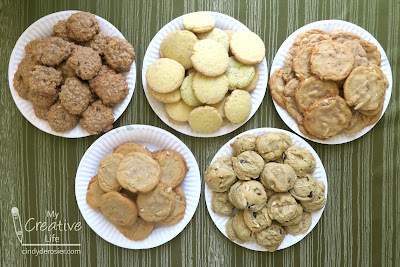 Let the cookies cool on the baking sheet for 3 minutes, then transfer to a wire rack. HOW AWESOME and CREATIVE for him to come up with this idea!!! And YAY for his winning entry!!!!!!!!!!!! I am intrigued! I have to say adding avocado is a novel idea! Trevor had me at Avocado! ::wink:: Another great friendly competition!